Why it matters: While the business sector was the driving force behind this long-awaited return to growth, the PC industry will still welcome the positive news. The more optimistic of the two reports from IDC added that falling GPU prices have helped boost sales of gaming machines. After demand from cryptominers kept costs ridiculously high for so long, it’s great to see gamers reaping the benefits of a stabilizing graphics card market. Do you feel as if reports of the PC industry’s decline have been going on for years? That’s because they have. Six years, in fact. But for the first time since Q1 2012, the market has experienced year-over-year growth. Research firm Gartner revealed that total PC shipments for the second quarter of 2018 reached 62.1 million—a 1.4 percent increase compared to the same quarter one year earlier. 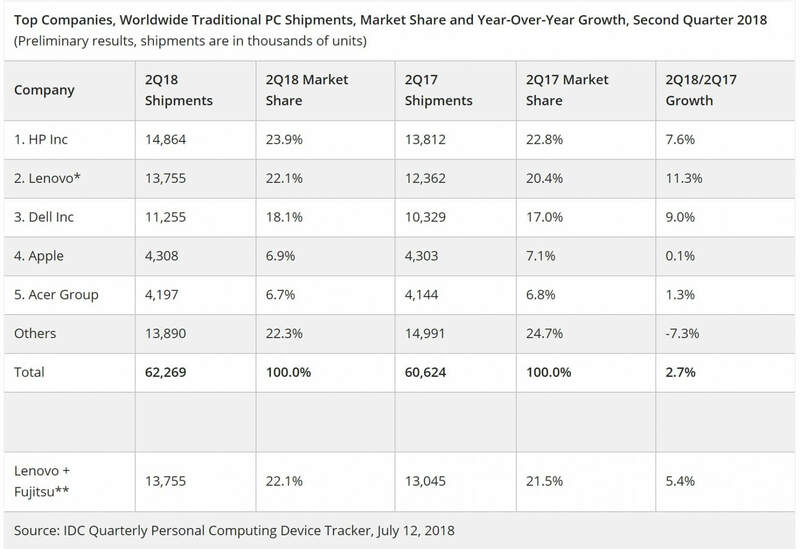 While the figures—which show units shipped to companies’ warehouses, not direct sales to consumers—will be welcome, Gartner warned not to celebrate a “PC industry recovery” quite yet. The growth is primarily the result of demand from the business market, while the consumer segment has actually decreased slightly. The firm says consumers are still using their smartphones for daily tasks such as banking and shopping, thereby reducing the need for a PC. 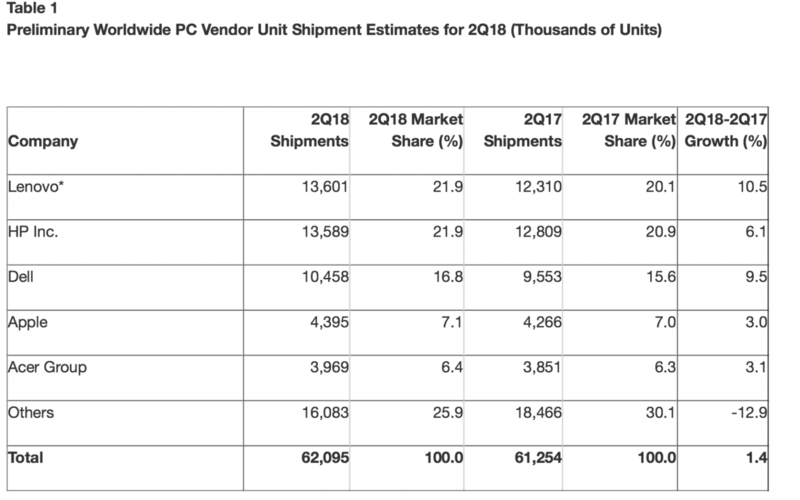 Looking at individual companies, Gartner’s figures show that all firms in the top five have seen increases in PC shipments, though the rest of the market slipped 12.9 percent. Lenovo just managed to beat HP to the top spot thanks to its joint venture with Fujitsu, while third place Dell grew 9.5 percent. Apple followed it in fourth, then Acer in fifth. Another report on the state of the PC market arrived from rival firm IDC. 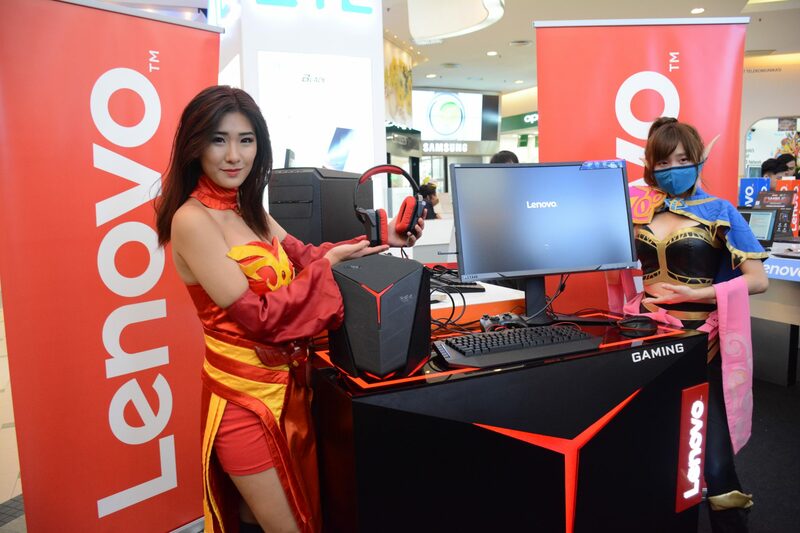 It showed a larger yearly growth rate of 2.7 percent, and though it also cited business use as the driving factor, it said falling graphics card prices have caused an increase in gaming PC shipments. IDC lists the same five companies as Gartner when it comes to total market share, but places HP above Lenovo.